OUR BEST SELLING 3/4 SIZED GUITAR! These are an excellent beginners guitar ideal for ages 8 to 14 years approximately. 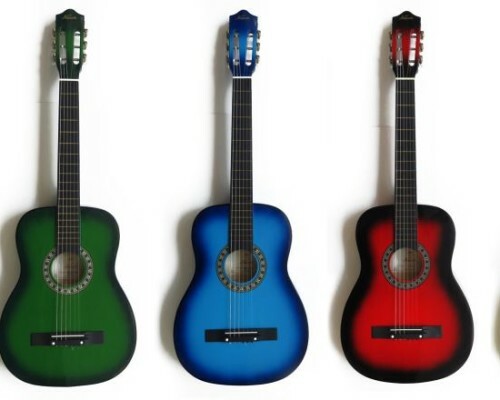 These guitars are unique in the fact that they can be strung with nylon and steel strings a like however they come with steel strings fitted. Available in Orange,Blue, Green and Red (please enquire about colour availability before purchase).